The banner as displayed here is only 50% of the actual size for the website so some of the details get lost. The client was extremely pleased with the final result. 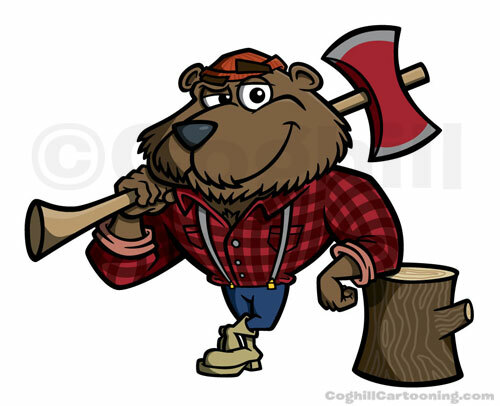 Check out the Wissota Woods lumberjack bear cartoon character and logo on the portfolio.